Mindfulness and meditation are trending more than ever; it seems like just about everyone is preaching the powerful benefits of closing your eyes, tuning out the world and getting in touch with your inner self. Maybe you’ve tried meditating before but couldn’t get “in the zone.” You sat down, closed your eyes, took some deep breaths and waited for silence, only to be met with the same thoughts you wanted to dispel in the first place. Sound familiar? Don’t worry; meditating is often misunderstood as the total absence of thought and emotion, but really, learning how to meditate teaches you to let thoughts and feelings move through you. It’s all about becoming more comfortable with everything that travels through your mind and body; when you learn how to fully embrace the experience of your thoughts and feelings, both good and bad, you stop being controlled by them. People meditate to become more focused, decrease stress, treat anxiety and depression and more. While mindfulness can’t cure illnesses and shouldn’t be a substitute for a doctor or psychologist, there are plenty of health benefits and emotional advantages to meditating regularly. 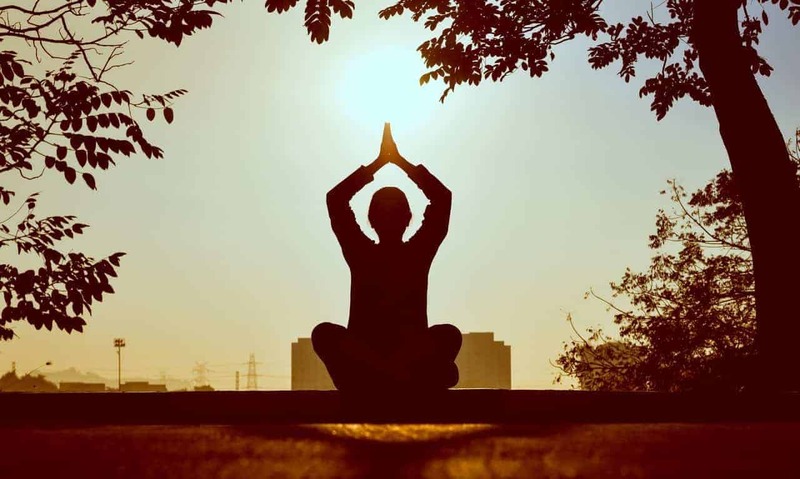 There have been numerous studies to uncover the real benefits of meditating. One study conducted by researchers at Harvard Medical School found that the effects of meditation aren’t just immediate but also residual; meditation improves emotional regulation, which leads to less stress, less mood swings and a calmer, more relaxed demeanor. Learning how to meditate means you’ll be inheriting plenty of other useful skills along the way. Better concentration, more compassion and positive coping mechanisms are just a few of the science-backed benefits people who meditate experience. Let’s take a look at three easy steps you can follow to start your own meditating practice. First and foremost, you want to find a comfortable, quiet spot to meditate. You may need a mental break most in the chaos of midday, but the early morning hours or nighttime are optimal. Sit on the floor or in a comfortable chair. Avoid meditating on your bed at first because you’ll be more likely to doze off and fall asleep in the middle of your practice. Find a spot that works for you and get seated. Keep your feet flat on the floor and place your hands in your lap. To start, focus on the feeling of the chair supporting you. Feel the weight of your body and every arc and angle of your position. Feel your feet planted on the floor, which supports you. Use the first few moments of your meditative practice to draw your mind to the present moment. Contrary to popular belief, you don’t have to learn how to shut off your brain if you want to meditate. Instead, meditating regularly allows you to have an open dialogue with yourself without judgement and emotional reactions. Many people who are learning how to meditate find it helpful to adopt a mantra that they repeat in their head to maintain focus. The mantra you choose can embody the positive energy you wish to acquire through your practice. Breathing exercises can help you concentrate as you meditate. Counting your breaths, pausing with the air in your lungs and slowly exhaling and relaxing your muscles is an excellent way to calm anxiety and bring peace to your mind. Inhale to the count of four, then hold your breath for seven beats. Exhale for four more seconds, and as you release your breath, feel the air make its way out of your lungs and nose and concentrate on the lightness in your chest. On each inhale and exhale, count for one breath. 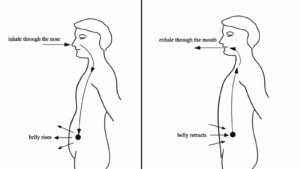 You can choose to relax a specific part of your body with individual breaths, too. Learning how to meditate teaches you about yourself. For example, one breath can be dedicated to relaxing the shoulders if you carry a lot of tension there. Mindfulness is a skill, and meditating requires plenty of routine practice and patience to be effective. As a beginner, it’s important to stick to a schedule but also give yourself leeway. After three or four breaths, allow your mind to wander for 30 seconds to a minute. This mental break is important. After you’ve given your thoughts some space to roam, gently reel them back in and refocus your mind on your breaths and mantra. By following these steps, you can learn how to meditate and tailor your practice to give you exactly what you need. You may not get the immediate results you expect, but keep practicing, keep breathing and believe in your own capability to improve your thoughts and emotions.